What is it about a college student, a goddess and a single wish that has captivated anime fans the world over since 1988? As Ah! 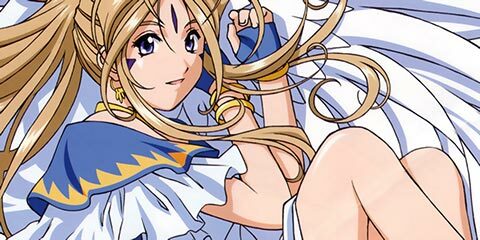 My Goddess returns to Japanese television, Animefringe takes an in-depth look at the history of this beloved series. Edward and Alphonse Elric thought that they knew magic, but when their ritual of forbidden alchemy goes astray, they must search out the legendary Philosopher's Stone. Delve into the series that has everyone talking! Two rebellious youths strived to save a life and lost theirs in the process, but their afterlife isn't quite what they expected. Animefringe unmasks the show that was too hot for Japanese TV to handle! Two years ago, Ayumu Narumi's older brother disappeared and the only clues available pointed to the Blade Children, but now new events are transpiring and Ayumu is in the thick of the action. Join Animefringe as we go all CSI on SPIRAL! CLAMP is back! Though honestly, thanks to the gods of domestic manga, they never truly left us alone. That’s precisely the way we like it, too. This month, we ring in the new year with something many people have been wishing for: Legal Drug! Let freedom ring in this rogue manga about a punk rock band fighting against Authority, one chapter at a time. Romio wants to become successful, and he won't settle for anything less than becoming the ultimate God of Rock! You probably already know your sign, but have you ever wondered what animals your favorite characters fall under? With the Chinese New Year upon us, it's the perfect time to examine the Zodiac's influence on the anime you watch. Where's that little place where all anime fans know your name? It doesn't exist, but it should! Learn how to be an anime god in ten easy steps! Is rice bland? When it's being sculpted or pounded to death with a mallet it's art. Spice up your computer desktop with wallpaper from one of these sites!